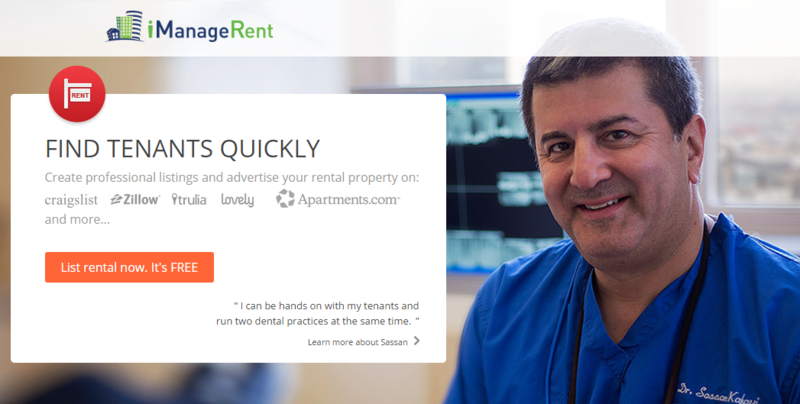 iManageRent – more than just rental listings. 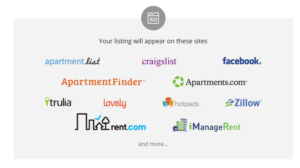 There are plenty of listing services in the rental market place. Most are very different but they all have one thing in common: tenants looking to rent and live in their dream home. To maximize exposure landlords and property managers should post on to multiple rental platforms (listing sites). Hence, the more sites the more visibility and the more interested prospects. However, listing on multiple sites can be very time consuming and picking one or two sites that you think will be effective is a crapshoot. Just imagine if you decide to list on 10 different sites: Zillow, Trulia, Craigslist, Apartments.com, Livelovely, Rentpath, Apartmentlist, Rentjungle and etc… You have to signup on each service individually and get verified before you can start listing. Then the repetitive task of inputting your rental information and uploading photos begins. And the arduous task of proof reading never ends. Thirty minutes can pass by very quickly before your done on one site. That’s five hours for ten sites, yikes!!! There must be a faster and more accurate way to accomplish this task. This is where iManageRent saves the day! Using this service allows you to create a listing that works and post automatically on to more than 20 sites! With its’ comprehensive listing wizard you will be guided to enter all pertinent information to the last detail. You will have the added value and the confidence that you created your marketing campaign in a proper way because the system will help minimize mistakes. Furthermore, based on a quick analysis of the entered information our recommendation for “Best Marketing Practices” will be suggested to you automatically. One of iManageRent’s greatest features is the ability to monitor the status of your listings. You can view when external listing sites publish your listing, hold it do to technical reasons or even flag it for removal. You can also control all the listings you posted via iManageRent to the syndicated sites from one place, your iManageRent dashboard. Furthermore, you will receive inquiries from all the syndicated listing sites in one place: “your own email”. At the same time you still have access to all conversations on your iManageRent dashboard. All your contacts and correspondence are ready for use in the event something happens with your email service. You will not lose this information. Do not worry and concentrate on your busy life, as email notifications keep you abreast of important action points. Just click on the provide links on your notifications to relist or stop listing. All management links and buttons provided in the email notifications are designed to save you time while you are on the go! This feature brings uniformity, transparency and control to working groups. Tenant background checks are very important today. There are surprisingly a very high incidents of identify theft and fraudulent activity that exists in the real estate rental world. Never trust anyone. A thorough background screening of your prospective tenants should include: credit check, national eviction history, national criminal history and a rent application. iManageRent allows you to receive all of these reports automatically. 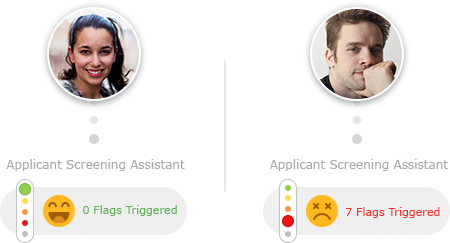 Once a prospect is interested and ready, you allow the prospect to send you a completed “Lease Application” with the click of a button. Email instructions on how to obtain all the necessary reports goes automatically to the prospective tenant and you will be notified upon completion. Furthermore, based on your preset criteria and the tenants ability to pay iManageRent will supply you with a “Lease Recommendation”. How about spam-protection? iManageRent protects you from SPAM. All communication between you and prospective tenants are achieved by aliases – so your real email is never shown to prospective tenants. This way you can be safe – your real email will never go to a spam list. Share your listings on Facebook, Twitter and other social media with a click of a button. a) Easily copy and paste your listing’s HTML templates to your website and promote your vacancies. b) Generate QR code onto your brochures and paper advertising to give offline off line search functionality to your vacancy promotions. c) Create your landing page with a property on iManageRent and promote it on Google, Yahoo and Bing. d) Get notification when your listings are indexed by the search engines Google, Yahoo and Bing! This is one way of understanding how your marketing campaign is performing. In this competitive world of filling vacancies and busy life styles, it is best to have the whole picture in mind. Choose a listing service that allows you the flexibility to market your vacancy on to numerous platforms, hence generating multiple inquires that are easy to read and respond to. Once you have narrowed your prospective tenant search, choose a tenant with confidence by requesting and reviewing their background checks. 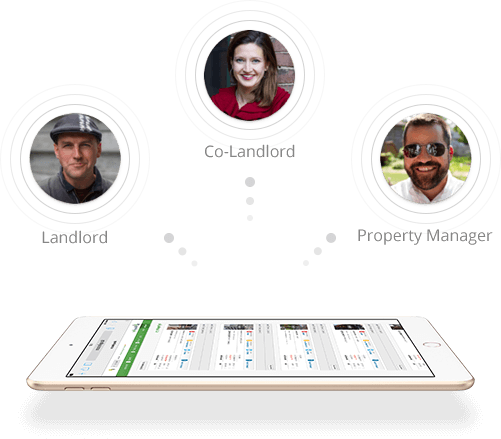 iManageRent provides landlords, property manager and tenants tools to better manage the life cycle of a rental property. From listing vacancies to background checks, online rent payments, late fee accounting, security deposit accounting, document storage, to much, much more… join us for free today!